Answers via the comments or on Twitter. All correct answers will be rewarded with deep respect and warm Christmas wishes. Enjoy! Click here for the puzzle. Too many correct answers to mention this time round. 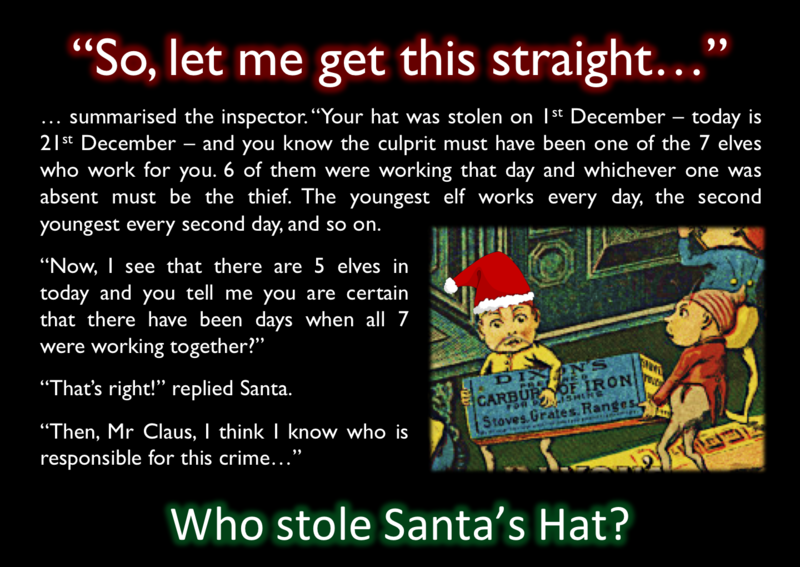 Still the fact that you’ve found Santa and thus saved Christmas for many millions of children should be reward enough. 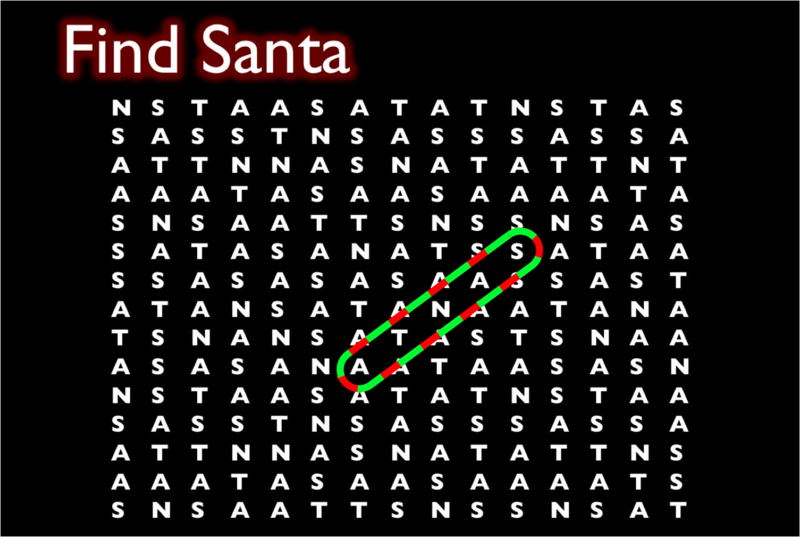 This entry was posted in Maths, Puzzles and tagged advent calendar, Christmas, Christmaths, Maths, Puzzle, Puzzles, The Indisputable Existence of Santa Claus on December 21, 2016 by thomas.